Dalton (Patrick Swayze) is the best bar bouncer in the business, but he's anything but "typical." He's a little small for his trade, has a degree in philosophy and he believes in "being nice." But when he's hired to clean up the Double Deuce in the small town of Jasper, he's pushed to his breaking point. 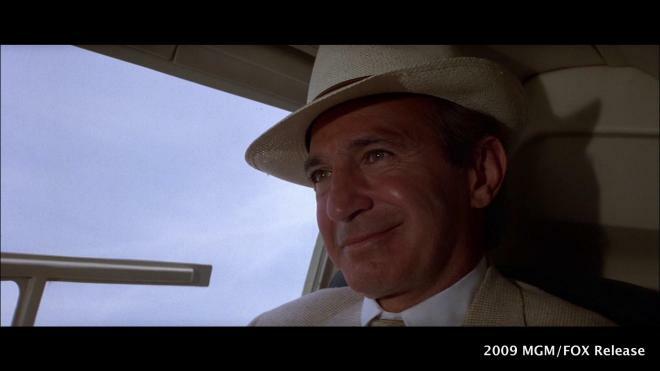 Turns out Jasper is controlled by an evil sadist (Ben Gazzara) who doesn't want anyone meddling with "his" town. After he sends his goons to bust up the Double Deuce, all hell breaks loose. Now it's "no more nice guy" for Dalton as he starts busting heads, leading him to the all-time, no-holds-barred showdown of the century. "I thought you'd be… bigger!" Some films become legends. These are films that go beyond their titles, their directors, their cast and are so intrinsically linked in the public mindset that everyone knows about them - even if they've never seen them personally. Films like 'The Godfather,' Star Wars,' or 'Jaws,' are this sort of legendary film. Everyone knows what these movies are, can probably retell the entire plot, and can quite possibly quote these movies even if they've never taken the time to see them. Then you get movies like Rowdy Herrington's 1989 magnum opus 'Road House' starring the late great Patric Swayze. 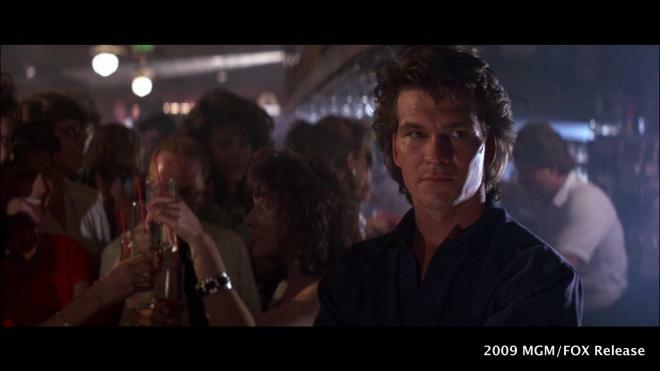 Like 'Invasion U.S.A.' before it, 'Road House' should be considered almost legendary, a movie people are well aware of, but nowhere near enough people have actually seen to appreciate the mad genius behind the film. Dalton (Patrick Swayze) is the best cooler in the business. 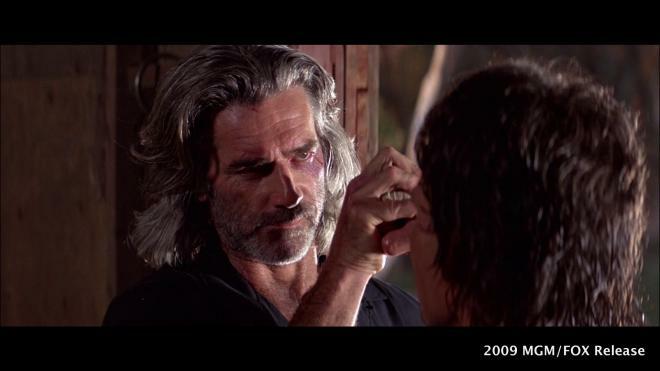 If there is a bar or a club that seems to be attracting a bad element, owners across the country call in guys like Dalton or his mentor Wade Garrett (Sam Elliott). Of course, their services come at a high price. For Tilghman, hiring Dalton is absolutely necessary. He has a little club in Jasper called the Double Deuce and the element is as bad as it can get. Dalton's services aren't cheap, but hopefully, he'll turn things around and Tilghman can stop sweeping up the eyeballs at closing. By cleaning out the hotheaded bouncers as a starting point, Dalton gets to work cleaning up the Double Deuce using his sage words of wisdom and his heightened bouncer senses. Unfortunately, the bad element in town doesn't want to be cooled. 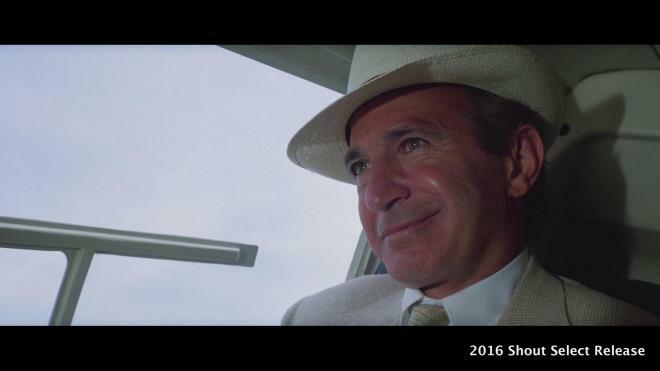 At the top of the bad guy pecking order is entrepreneur Brad Wesley (Ben Gazzara). He may have brought the photo mat and the 7-11 to town but he's got dirtier dealings. With his hired muscle Jimmy (Marshall R. Teague) and Tinker (John Young), Wesley has a strangle hold on the entire town bleeding it dry. What he says goes and a presence like Dalton's can't be tolerated. When Dalton starts dating the beautiful Doc (Kelly Lynch), Wesley's jealousy and rage can't be contained any longer. Jasper isn't big enough for men like Dalton and Wesley to coexist and one of them has got to go. At the outset, I feel the need to explain that my star rating for 'Road House' isn't linked to my perception of quality filmmaking and is instead reserved for the never-ending entertainment value it provides. There is a notion going around that some movies are just "critic proof" and 'Road House' certainly is that! In all honesty, this movie is a mess from start to finish. From the very beginning, it asks the audience to believe there is a society of night clubs and their owners and bouncers where these guys travel about the country like hired guns to do a simple job of taking out the riffraff. Because of their abilities, they're known throughout the country and can command ridiculous salaries for their services. Already this concept is a stretch, but we're willing to go with it. As the rest of the movie unfolds, any number of incomprehensible plot points and conveniences clumsily stumble along and culminates in a rousingly ridiculous climactic fight between the young and virile Patrick Swayze and the older slower Ben Gazzara. I think it's because the film plays itself like a modern western with all of the classic tropes that this movie even works at all. The plot follows the idea of a new sheriff walking into the tough town and then runs afoul of the local criminal element. The film attempts to replicate those sensibilities here, but something got lost in the translation and 'Road House' ends up being one of the best-funded B-Movies ever made. Since 'Road House' can't honestly be taken seriously, it's best to not even try. Even the cast and crew are to the point where they're saying they made it this way on purpose and the unintentional humor was done with a nod and a wink from the very start. With the amazing dialogue and the outright goofy plotting, it's best for anyone watching this film to just turn off their brains and relax. If MST3k had the budget back in its heyday, this would have been the perfect fodder for a legendary episode. Instead, Joel and the Bots delivered the incredible tune "A Patrick Swayze Christmas" during their roast of 'Santa Clause Conquers The Martians.' On top of that little ode to Dalton, Mike Nelson launched Rifftrax in 2006 on the back of 'Road House' creating what amounts to one of the funniest commentary tracks ever recorded. Whether you watch this film straight, riffed, or with the incredible Kevin Smith and Scott Mosier commentary track, you're virtually guaranteed 114 minutes of rock solid entertainment. 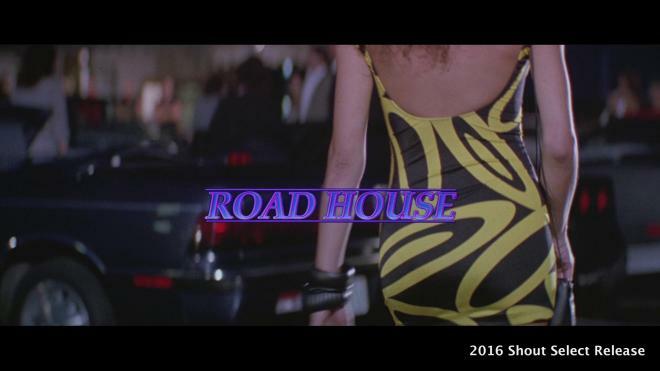 'Road House' is like so many cult films that sit on the outskirts of becoming a legendary movie. The sadly late Patrick Swayze was in his prime with this film. He's in virtually every scene and owns the screen - mostly because he seems to have a shirt allergy. 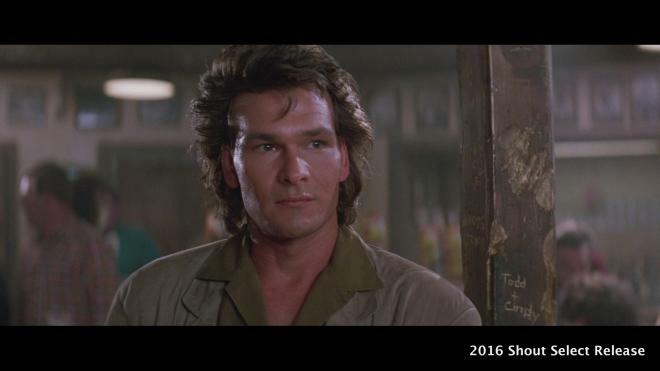 From 1987 to 1992, Swayze would enjoy headlining some pretty great and memorable movies ranging from 'Dirty Dancing' to 'Ghost' to 'Point Break.' But 'Road House' tops them all. 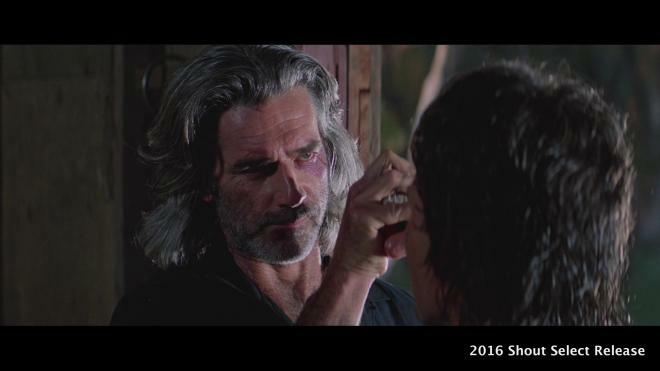 What other movie has Sam Elliot as a grizzled cooler willing to flash a total stranger his crotch region to show off a scar? What other movie has a hero known for his ability to rip people's throats out with his bare hands? What other movie has a big guy named Tinker who gets knocked out by a taxidermy polar bear? What other movie has a villain who sings show tunes while driving on the wrong side of the road as a demonstration of the fact that he owns the town? What other movie takes the time to stop the movie dead in its tracks for a monster truck rally at a car dealership? If you can think of another movie other than 'Road House' with all of that going on - please tell me what it is because I need to see it! 'Road House' is hardly a natural classic film in the traditional sense, but it delivers endless entertainment which is more than what most movies manage to deliver. 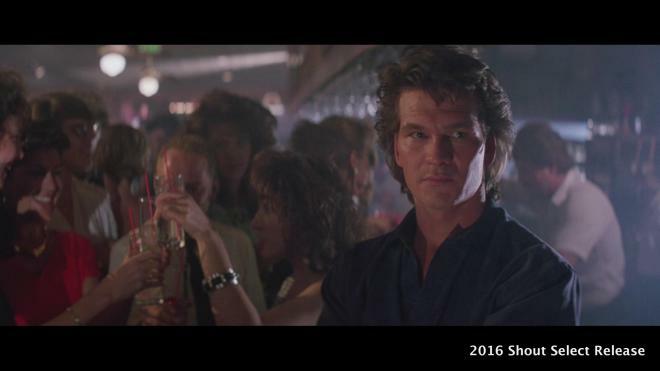 'Road House' arrives on Blu-ray as a Collector's Edition courtesy of Shout! Factory and their Shout Select line with a spine number "5." 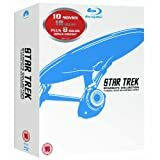 As a two-disc set, the film arrives on a Region A locked BD25 disc with the two commentaries while the rest of the bonus features are given their own Region A BD50 disc to occupy. The discs are housed in a standard two-disc Blu-ray case with their own tray to occupy. Included inside is a leaflet letting you know all of the Shout Select titles available. Both discs load directly to their respective static image main menus. With a new 2k scan of the interpositive, this 2.35:1 1080p transfer is probably the best 'Road House' has ever looked - relatively speaking. It's notably brighter than the previous MPEG-2 release from 2009 and also thankfully retains a stable but present grain field. On the surface, it may not seem like much of an improvement, but it becomes clearer in wide shots and establishing shots. Details are rendered a little finer and with better clarity. Clothing, the production design, and the numerous mullets appear sharper than before. There is still some slight print wear and tear in identical spots. The opening shot, for example, features small scratches and speckling that appear to be baked into the source elements. Neon signage appears cleaner with natural-looking lines without the blurring that was present in the 2009 release. There are also a number of scenes that looked out of focus in the previous release that now look sharpened up and look clearer. That said, there are still a number of scenes that were apparently shot out of focus, so unless you're a student of the film it may be difficult to spot some of the improvements. Where some people may take issue with this transfer is with color timing and black levels. As I said, this is a noticeably brighter looking transfer, but contrast doesn't appear to have been pushed too severely as there aren't any white blooms or balance issues. The 2009 release was a very warm looking transfer as a lot of the colors were pushed into deep reds and muddy browns. That color timing has been pulled back a bit and provides a lighter, more natural looking presence without being thrown into the dreaded teal/orange territory. Flesh tones, in particular, look better as the cast no longer appears like they've been hitting the spray tan booths in between takes. 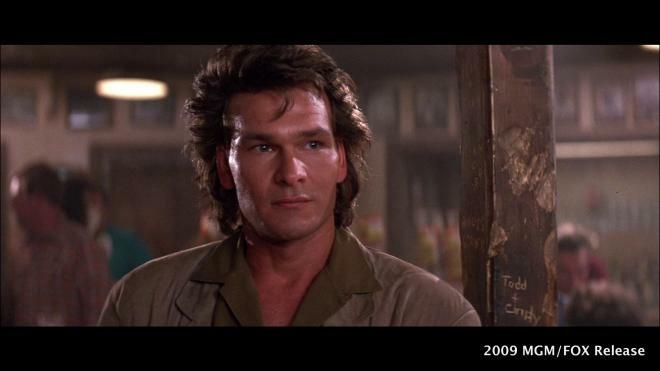 Some shots where Swayze looked rather orange appear more natural now in this new transfer. Primaries also appear a bit stronger and with a little more balance to them, particularly the Double Deuce staff's red shirts. Black levels also appear a bit more stable allowing for better separation without any of the crush issues that were present in the previous release. However, some may wish that the darker shadows had been left intact because they helped add to the overall mood. Since this transfer was supervised by Director of Photography Dean Cundey, I'm going to defer to his judgment that this is how the movie was supposed to look. I've seen this movie on broadcast, VHS, DVD and the previous Blu-ray, each release has had its issues and I would stake that this new 2016 transfer goes a long way towards fixing a lot of problems to provide the best viewing experience possible. This 2016 release of 'Road House' arrives with two fantastic audio mixes, an English DTS-HD MA 5.1 and an English DTS-HD MA 2.0 stereo mix. Either way you slice it, you're getting some amazing audio work. Dialogue for both tracks are cleanly rendered and heard throughout as they keep to the front/center channels. The 5.1 mix is the most immersive experience as the music has been mixed to occupy the sides and rears allowing for the dialogue and important sound effects to keep to the front ranges. The 2.0 drops the immersive effect for a more balanced left/right stereo experience, but it doesn't over mix the music to compensate for the channel loss. Both tracks have an awesome LFE range as each punch, slap, and kick land with their own little extra oomph in the subwoofer. Imaging is strong for both tracks with plenty of channel movement, but Imaging is strong for both tracks with plenty of channel movement, but obviously, the 5.1 mix will provide a little more range in that arena. Levels as a whole are mixed on the louder side of things without any distortion, but whichever track you run, you could probably set your volume lower than you normally would and still be able to hear everything just fine. This is also where these new mixes are an improvement over the 2009 audio track. The 2009 release would often have some pretty muddy sounding dialogue spaces whenever someone was speaking in low tones or under their breath. Not that you really needed to hear what they were saying in order to further the plot, but it was kinda irritating. This 2016 release fixes a lot of those issues and for the first time, I caught lines of dialogue I'd never been able to make out before. Free of any age-related issues, cracks, pops, or dropouts - both of these audio tracks give 'Road House' the auditory treatment it deserves. Audio Commentary: Director Rowdy Herrington flies solo for this commentary track and offers up a lot of great info and tidbits about the production. There are some gaps here and there, but otherwise he provides an engaging and informative track. Audio Commentary: This is the classic fan commentary with Kevin Smith and Scott Mosier. I would have loved for this release to include the Rifftrax commentary as well, but this one is pretty damn entertaining. It's clear these guys have a lot of love for this film. "I Thought You'd Be Bigger": The Making of Road House: (HD 1:03:14) Whoa momma is this an exhaustive and extensive making-of feature. Everything is covered from the scripting to casting to shooting and the film's reception. I'm a little dubious that they actually intended a lot of the movie to be as it is, but it's a humorous notion just the same. A Conversation With Director Rowdy Herrington: (HD 29:38) This is a pretty cool little interview with Director Rowdy Herrington on how he got into directing, meeting with Joel Silver, knowing Patrick Swayze and working on the film. "Pain Don't Hurt": The Stunts of Road House: (HD 22:29) This is a pretty awesome look at all of the fight work and stunts that went into the movie - you never really notice all of the broken bottles until you see them highlighted in this extra. 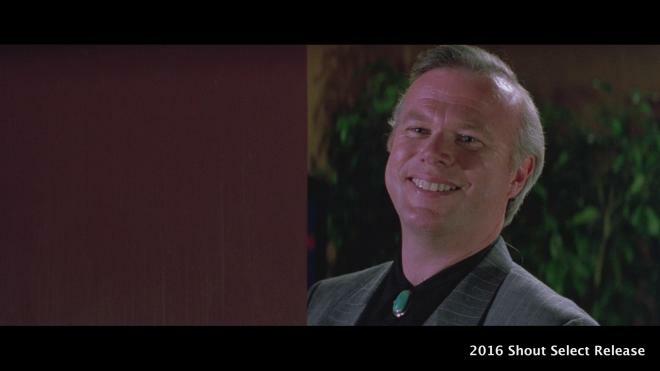 "Pretty Good For A Blind White Boy": The Music of Road House: (HD 9:22) This is a nice look at the work of the late Jeff Healey who did the music for the film as well as his work paired with Michael Kamen's score. 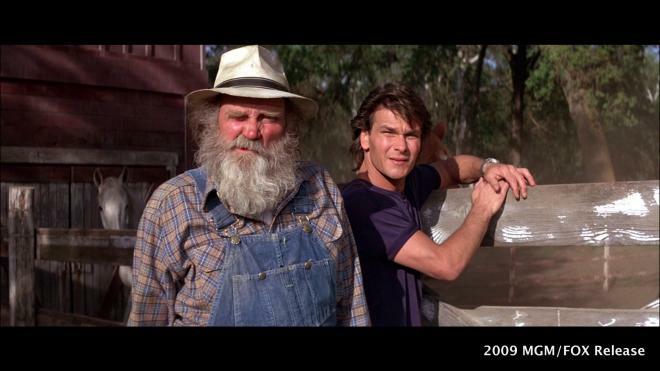 Remembering Patrick Swayze: (HD 15:06) Lisa Niemi Swayze, as well as fellow cast members and crew of the film, pay a nice tribute to the late actor who died entirely too young. 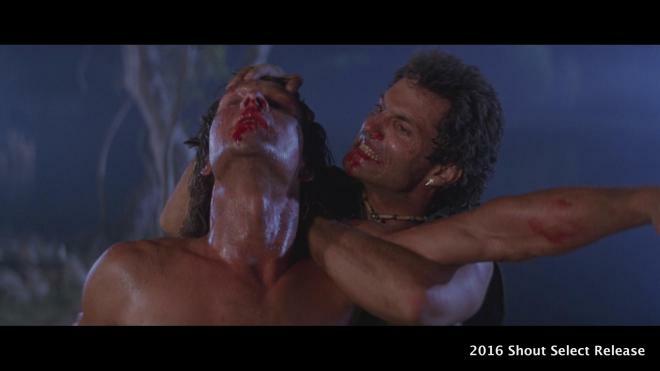 On The Road House: (SD 17:23) This is a fun vintage bonus feature that was ported over from the Special Edition DVD. What Would Dalton Do? : (SD 12:26) This is a goofy bonus feature with a bunch of actual bouncers or "coolers" and they share their war stories. On The Set: (SD 3:44) This is a pretty cool behind the scenes look at the infamous monster truck scene as well as a couple big fights. 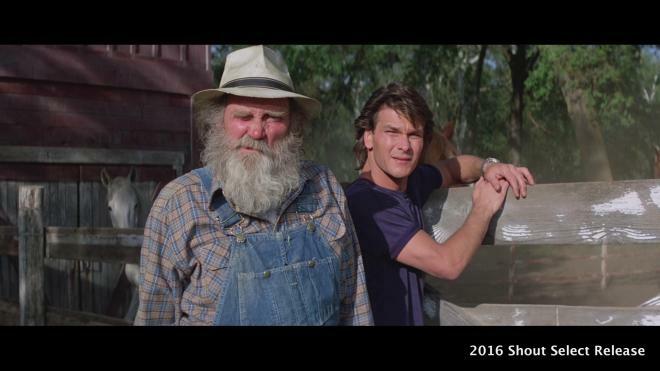 Patrick Swayze Profile: (SD 2:41) This is a quick, EPK style set interview with Swayze. Select Sound Bites: (SD 11:00) These are some raw uncut interview segments from an EPK package. Not a lot new but still interesting just the same. Theatrical Trailer: (HD 1:57) This is a classic trailer. I remember seeing it all the time when I was a kid, it felt like every VHS tape we owned had it before the main movie. As with any movie, one must weigh its entertainment value. When I need a movie to turn my brain off to and just enjoy for what it is, it doesn't get much better than 'Road House.' You can watch it straight, with a commentary track, with a group of slightly inebriated friends and it's still a great movie. Shout Factory has done right by 'Road House' by offering up a fantastic A/V presentation as well as hours of bonus features. 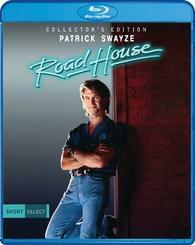 If you've been waiting to pick up 'Road House' on Blu-ray - now is the time to pull the trigger. If you've been waiting for a reason to double dip, it doesn't get much better than this set. Fans of the film should absolutely add this to their wish lists, for everyone else, this Collector's Edition of 'Road House' is highly recommended.